The Sunflower family is a very large family with over 25,000 members. Botanists subdivide the family into a number of tribes of which 14 are represented in Monterey County, one of these, the Heliantheae or Sunflower tribe, being further broken down into subtribes of which 9 are represented in Monterey County. 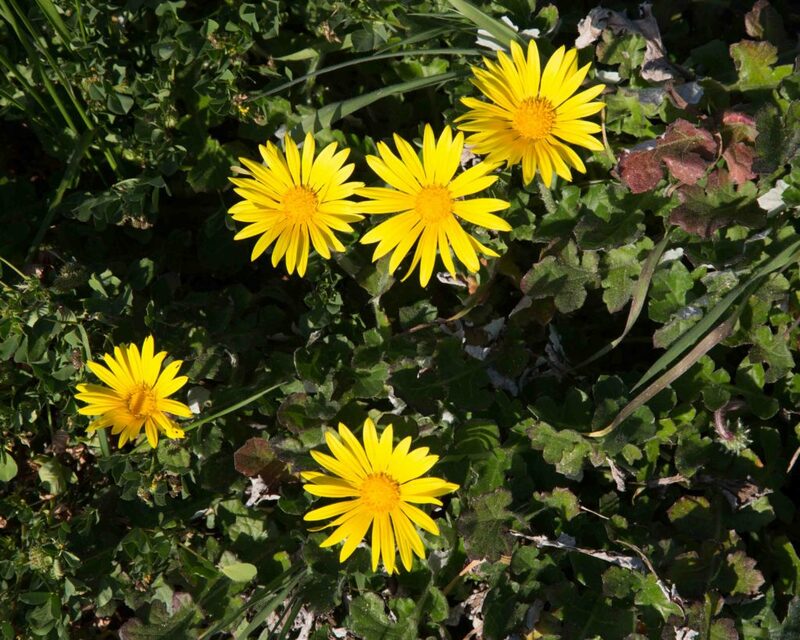 The Arctotis tribe has three members which also include the commonly cultivated Blue-eyed African Daisy and Gazanias. Escapee from cultivation. (13)16–25 ray flowers, 25–40 mm long, pale yellow above and yellow to brown/purple beneath. The receptacle is shallow and bowl-shaped. 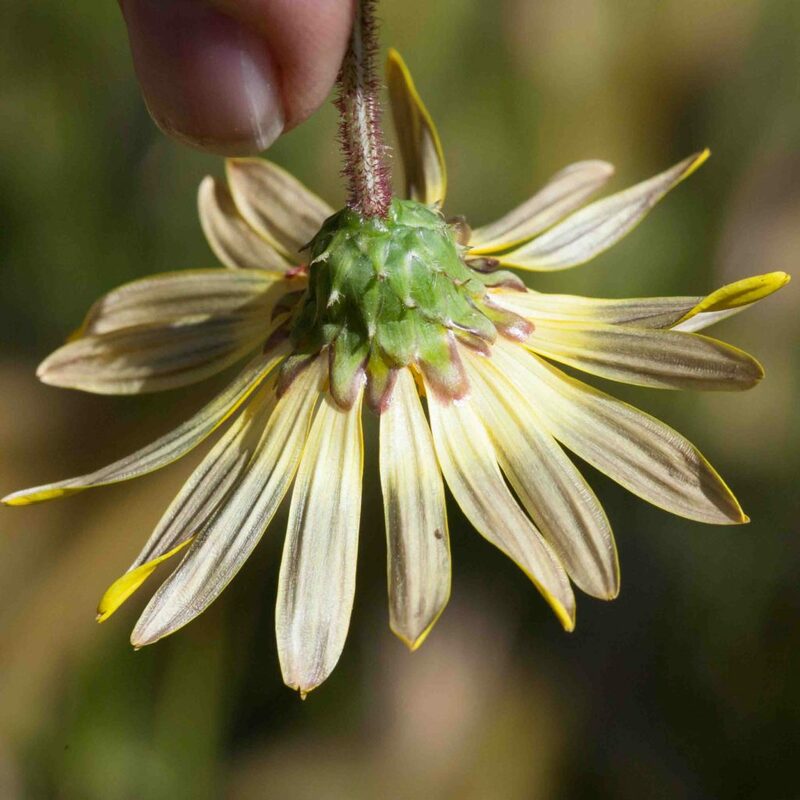 The stems are ribbed and covered in small hairs, white or reddish. 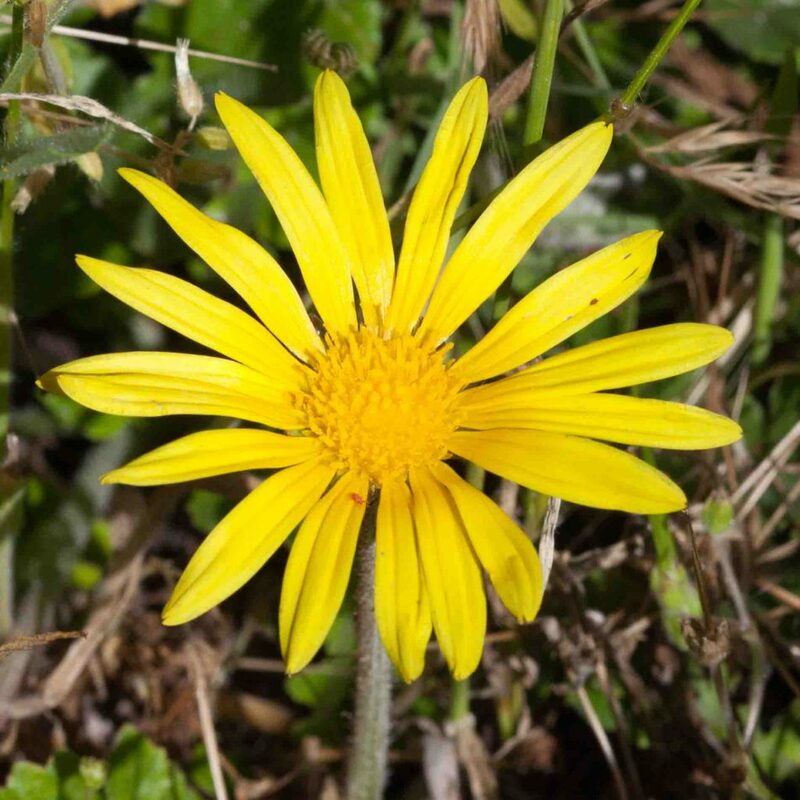 Similar to Cape Weed (Arctotheca calendula) which has shorter (6–15 mm) and fewer (6–13) ray flowers and is also classified as moderately invasive.